Check Point Identity Awareness Software Blade provides granular visibility of users, groups and machines, providing unmatched application and access control through the creation of accurate, identity-based policies. Centralized management and monitoring allows for policies to be managed from a single, unified console. The Identity Awareness Software Blade allows you to easily add user, user-group and machine identity intelligence to your security defenses. 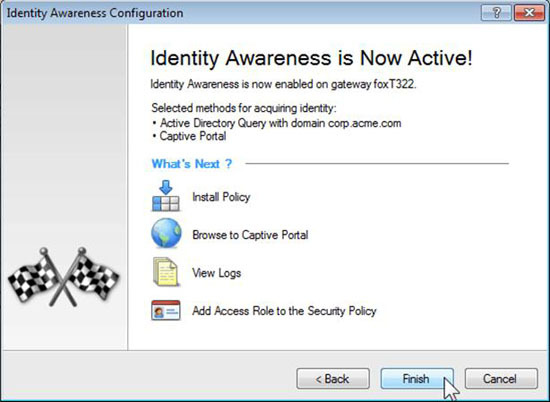 The Identity Awareness Software Blade provides multiple methods to obtain a user's identity, including: clientless, captive portal or identity agent. Identity information can be used by relevant Software Blades to apply and enforce user-based policies. Clientless - This method is easy, fast and simple to deploy. It is based on Active Directory integration and is completely transparent to the user. No installation is required on the Active Directory server or on the client machines. Captive portal - This method is used to acquire identities from unidentified users, providing security for endpoints that are not part of the domain. A given user authenticates through a web interface before gaining access to predefined resources for that user profile. Adding identity intelligence via the Identity Awareness Software Blade is fast and easy with our built-in deployment wizard. In just a few simple steps you can add user, user-group and machine identity awareness and obtain valuable information to utilize in policies throughout your security infrastructure. 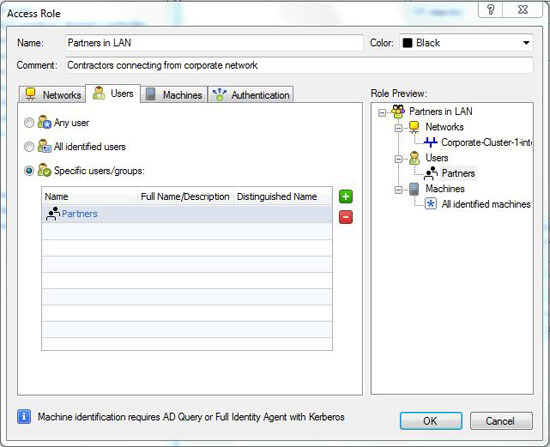 Step 1: Provide corporate access for specific groups or users, leveraging network-wide identity awareness. Step 2: Provide your Active Directory credentials for the required domain. 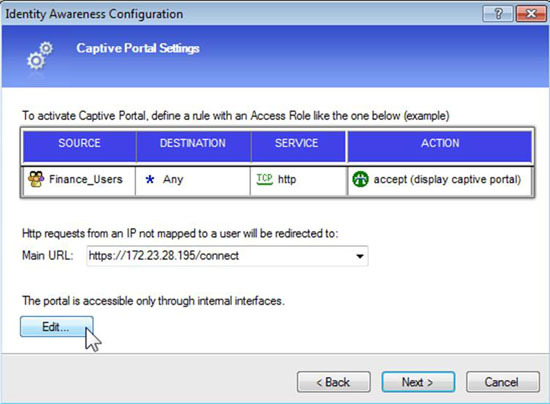 Step 3: Create any rules you require for capturing identity information via the captive portal. That's all it takes. 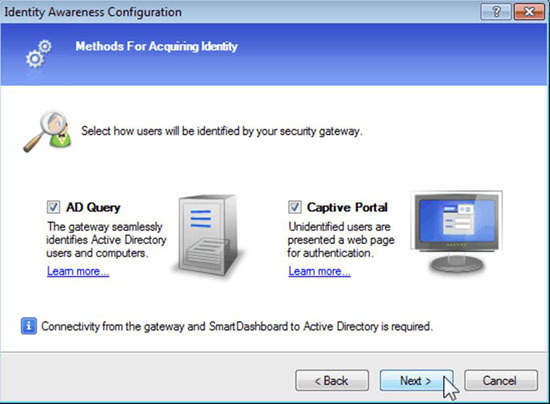 The Identity Awareness Software Blade will obtaining identity information. If desired, you can change the options that you set in the wizard or deploy other methods, such as identity agents. The Identity Awareness Software Blade is integrated into the Software Blade architecture. It can be easily and rapidly activated on existing Check Point Security Gateways saving time and reducing costs by leveraging existing security infrastructure.